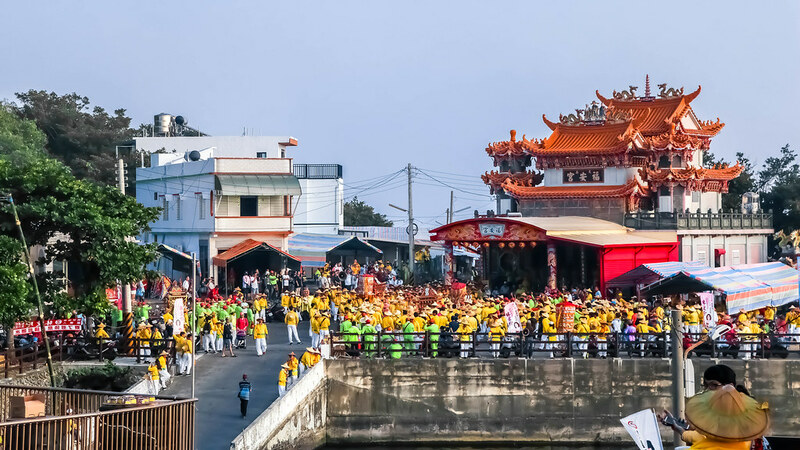 Xiao Liu Qiu (小琉球) is a small island located off the coast of Kaohsiung city. The island itself is not part of Kaohsiung, but part of the township of Dong Gang which is in Ping Dong. To get to the island, you can catch the ferry leaving from Dong Gang which is about 30 minutes by car south of Kaohsiung city. It is a great escape from the city and you get to enjoy the outdoors. You can choose to spend a day on the island before taking the ferry back to the city or stay overnight. I went on a day trip to Xiao Liu Qiu and managed to visit all the major attractions. I highly recommend renting a motorbike for the ease of traveling around the island. 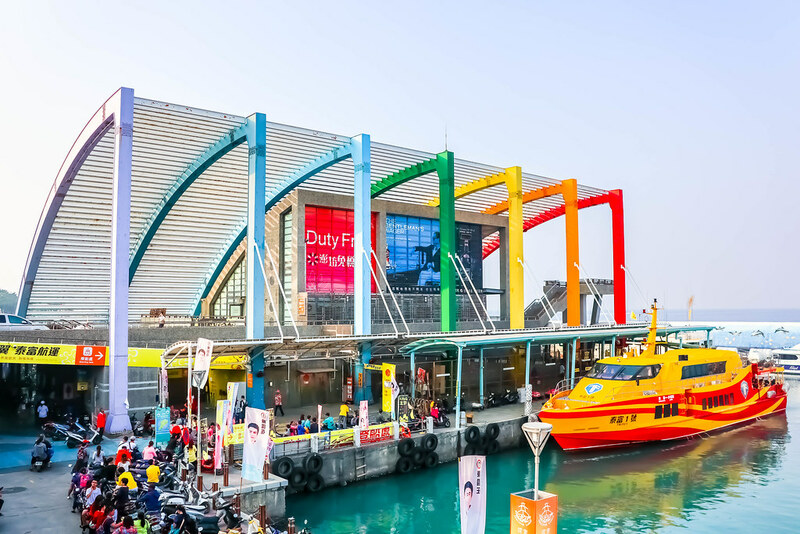 Upon arriving on the island, you’ll be greeted by the rainbow coloured sail-like building on the pier – architecture of Baishawei Wharf. This is the main port for visitors coming into and going out of Xiao Liu Qiu. There is a number of restaurants, souvenir shops, B&B accommodation and motorbike rental depots around the wharf. 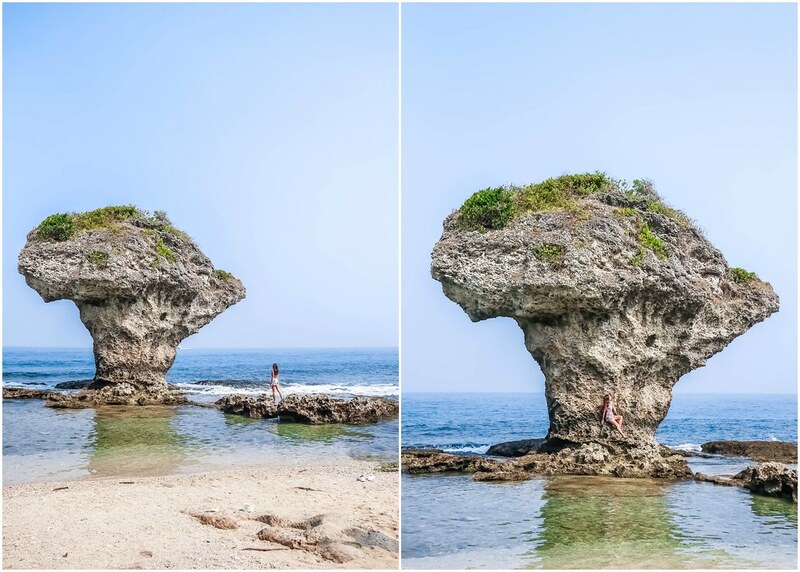 Although Xiao Liu Qiu is rather small, it is full of natural marvels such as its most popular landmark – Flower Vase Rock. As the name suggests, the coral reef has been shaped to resemble a vase as a result of tectonic uplift. Over time, the foundation of the Flower Vase Rock has been consistently eroded by sea waves, making it gradually narrower. This, coupled with the vines on top of the rock, make it look even more like a vase. Besides the Flower Vase Rock, there are a few caves you can explore like the Beauty Cave or the Lobster Cave. I prefer the latter because it’s off the beaten path and not many people know about this cave. You can relax on the sand peacefully, admire the sea view and listen to the soothing sounds of the waves. There are currently two lighthouses on Xiao Liu Qiu. 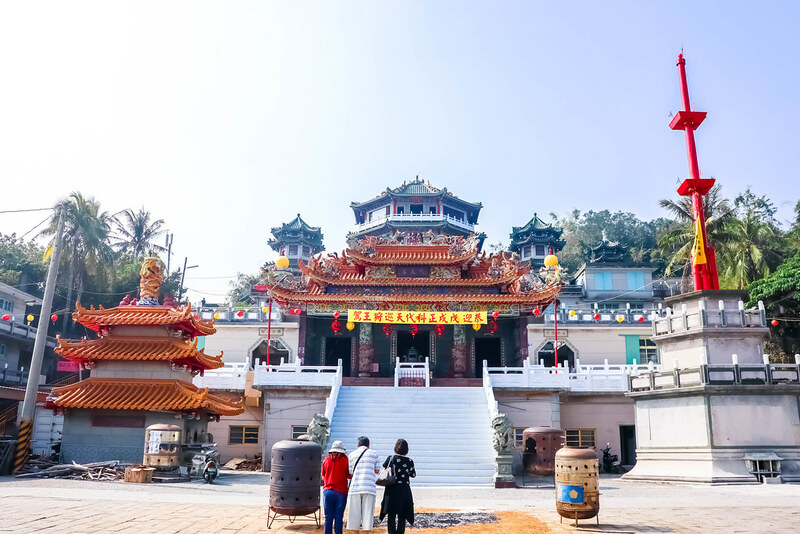 While one is conveniently located at Baishawei Wharf, the other is remotely situated in the south of the island, on the top of Jianshan Mountain. 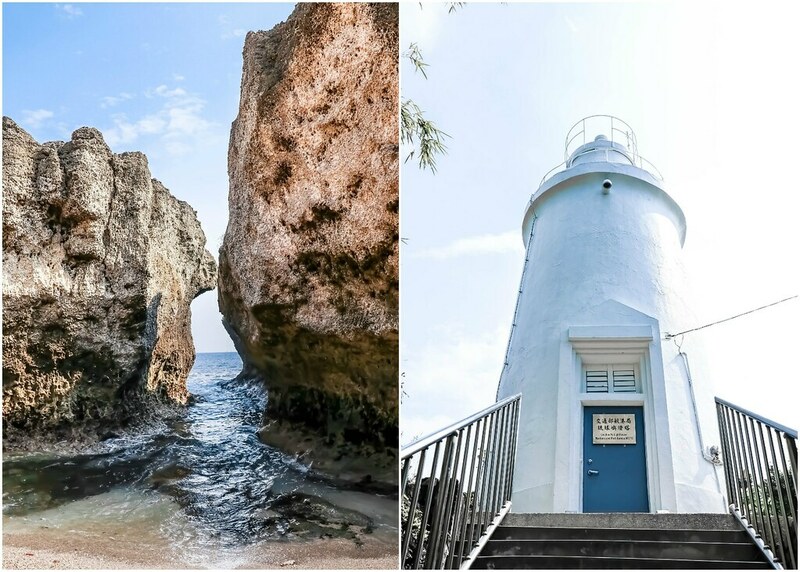 Both lighthouses were built in the Japanese colonial era. I visited both, and found the 10-metres high white circular lighthouse atop the mountain more attractive. 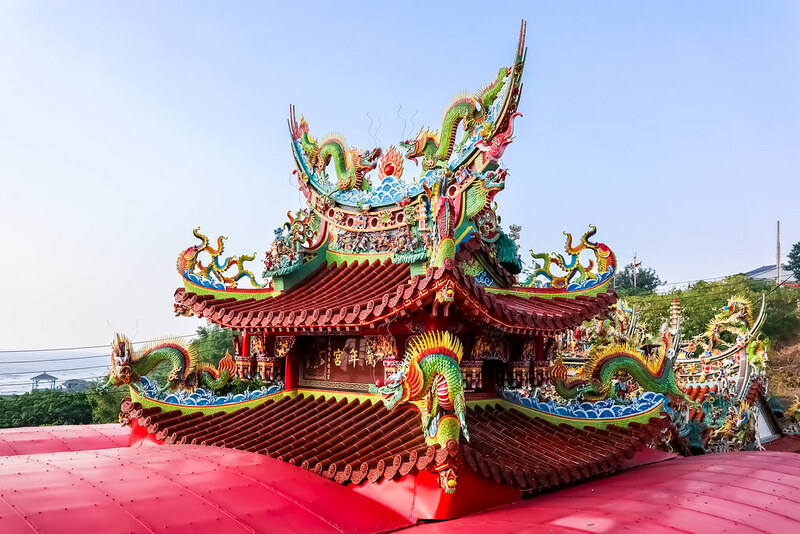 Moreover, you can also visit many temples and witness other rock formations around the island. Food is aplenty along the main shopping street, so you don’t have to worry about starving on the island. I’ve heard from my Taiwanese guide that locals love staying overnight on the island in order to have a BBQ party with their friends and family and stargaze at night. If you don’t have a lot of time to spare during your vacation, a day trip to Xiao Liu Qiu is good enough.